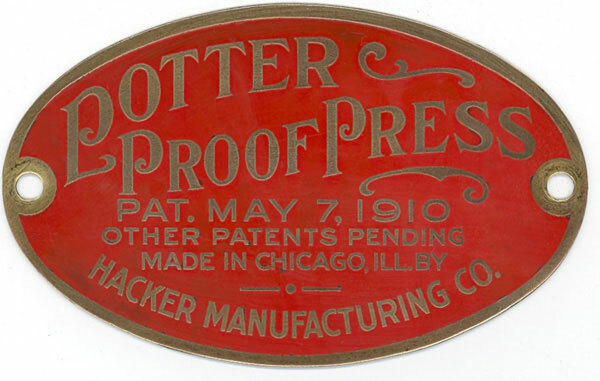 This table attempts to catalog existing Potter proof presses of which there are 42 presses listed. The serial number is located on the end of the rail left of the hand crank. Click on column header to sort table. To add or correct data, use the Contact Form. See also the main page for Potter. 2 G 2534 Joseph Ringvelski USA NY Ransomville Hacker Manufacturing.